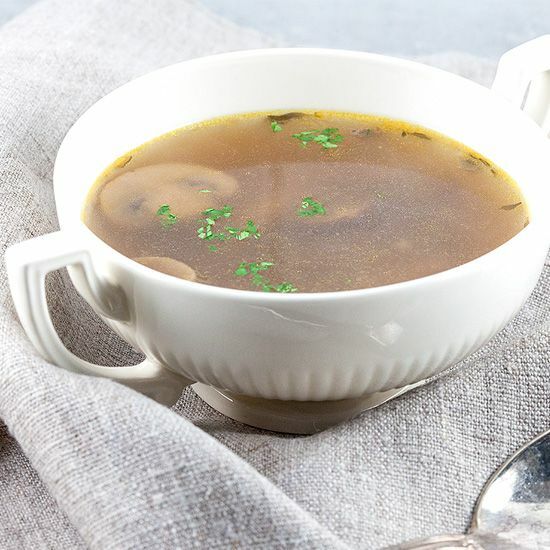 You can use any kind of mushrooms you can find for this hearty wild mushroom soup. Serve as a starter or with some bread it's a cosy lunch or even dinner. 500 gram mushrooms of your choice. 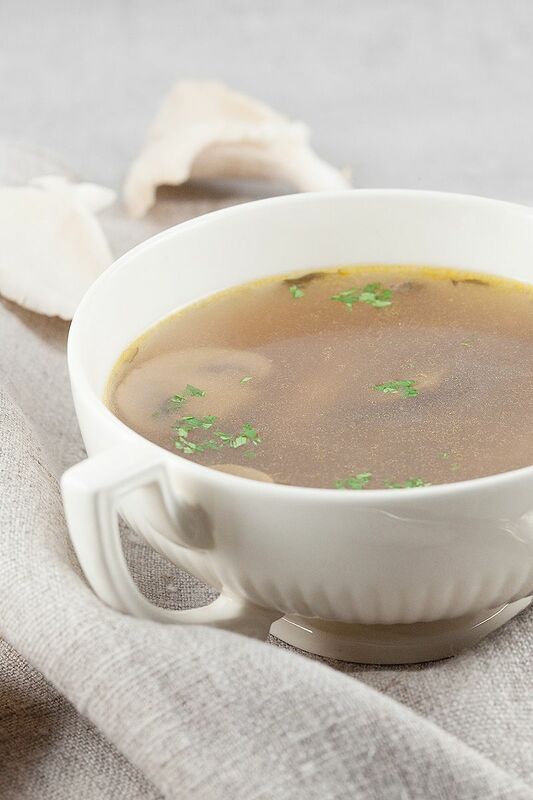 We’ve used shiitake, oyster mushrooms, white button mushrooms and chestnut mushrooms. 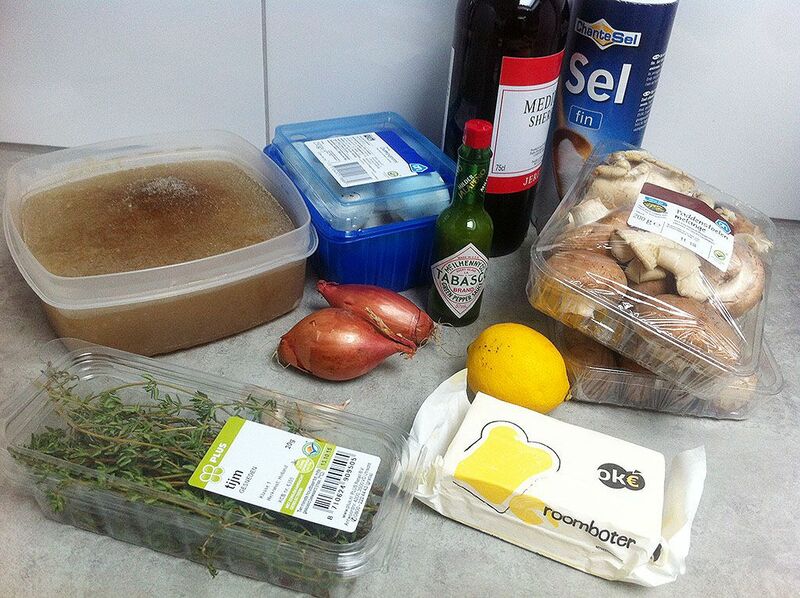 Start cutting the shallots and garlic cloves as fine as possible. CLEAN the mushrooms if necessary with a paper kitchen towel or mushroom brush. CUT all the mushrooms into fine slices. HEAT butter in the large pan and saute the onion and garlic on medium heat for about 2 minutes. ADD all the mushroom slices and let it cook for about 5 minutes on medium-high heat. The mushrooms will start to lose their moist and that’s exactly what we need! ADD dry sherry and cook for another minute. Now ADD the mushroom stock, thyme sprigs and lemon juice. Bring to a boil and turn down the heat. 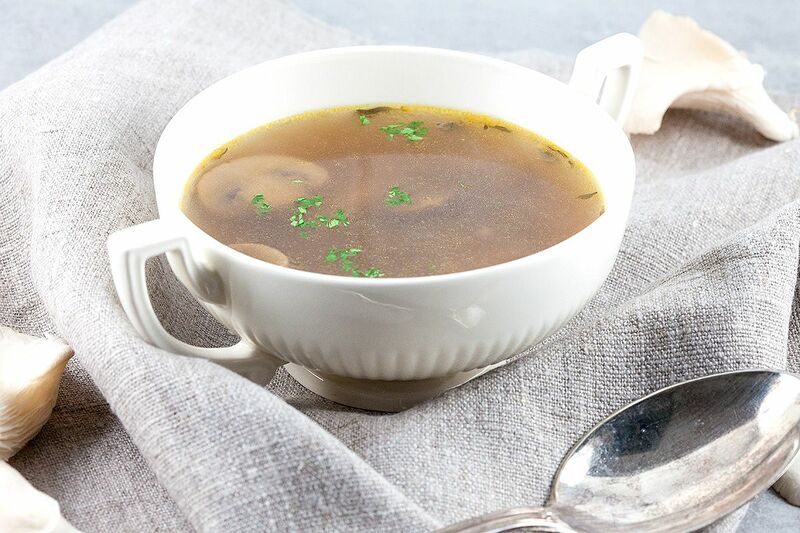 Let it simmer for about 15 minutes, or until the mushroom slices are soft enough. REMOVE the thyme sprigs. Season with tabasco, pepper and salt. Garnish with chopped parsley if you like.